1. Follow package instructions for cooking quinoa (1 cup quinoa added to 1.5 cups boiling water. Cook for 15 minutes on low). 2. Prepare and cook chicken breast. Cook on stove top on a frying pan with 2 tbsp olive oil until finished (no pink throughout) ~15 minutes. 3. 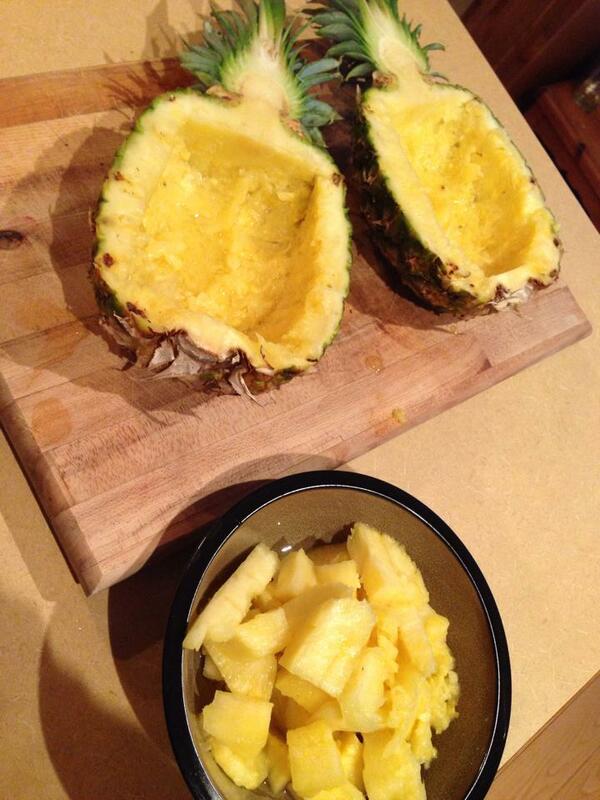 While the chicken is cooking, prepare your pineapple bowls. 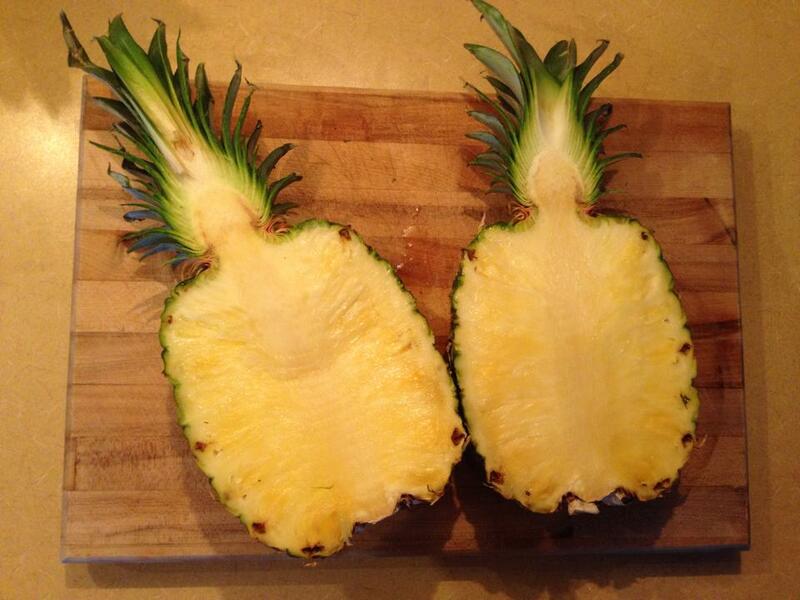 Cut the pineapple in half and carve out. 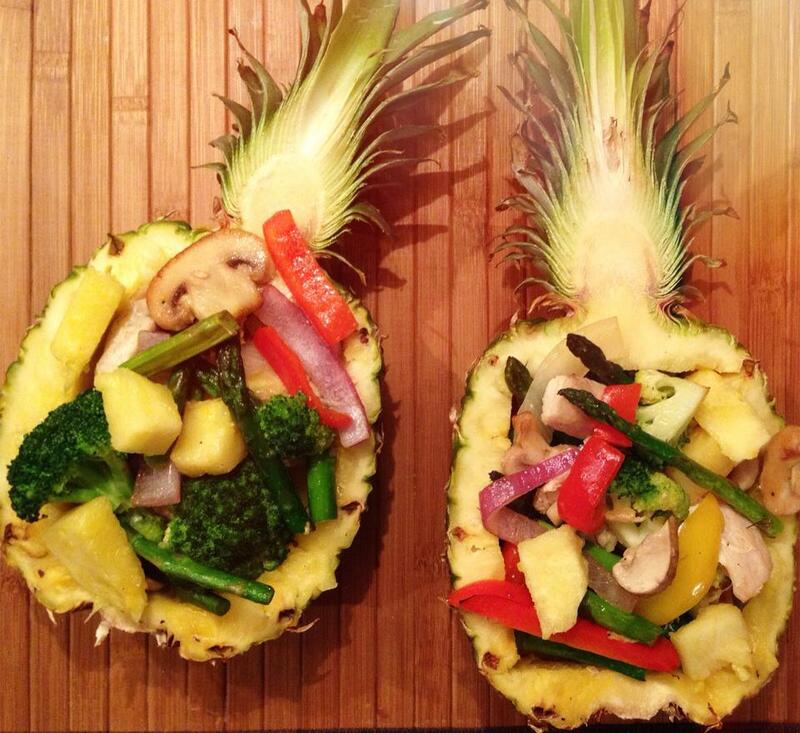 Dice the pineapple inside to add to your stir fry vegetables (as seen below in pictures). 4. Remove the chicken breast from the stove top when finished. 5. Now saute chopped veggies in a frying pan on medium/high heat for ~10 minutes. 6. 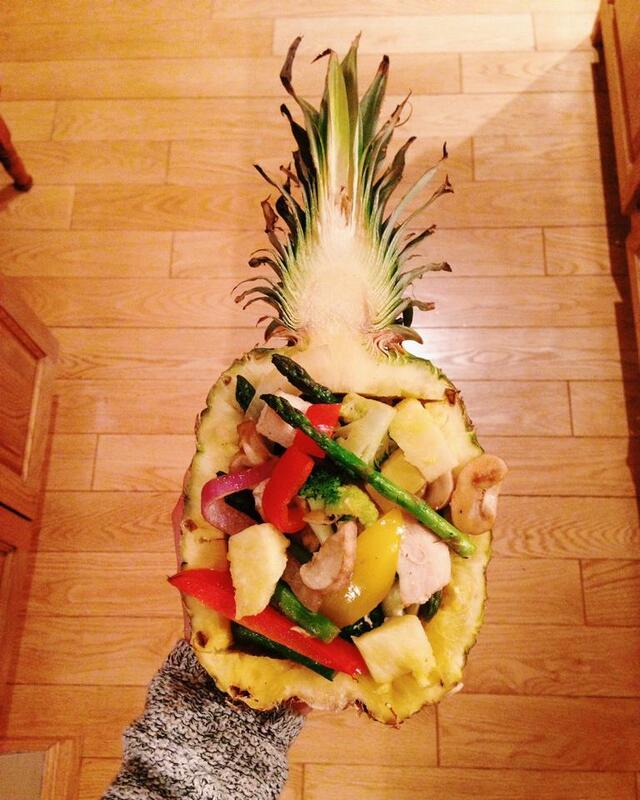 Mix in 1/2 cup of diced pineapple in with the vegetables and add back in the chicken to the vegetable mix. 7. Preheat your barbecue to medium heat. 8. While your BBQ is heating up, scoop the quinoa and place into the bottom of each bowl. 9. Add the vegetables/chicken on top of the bed of quinoa. 10. Place the stuffed pineapple bowls on the BBQ for ~7-10 minutes.